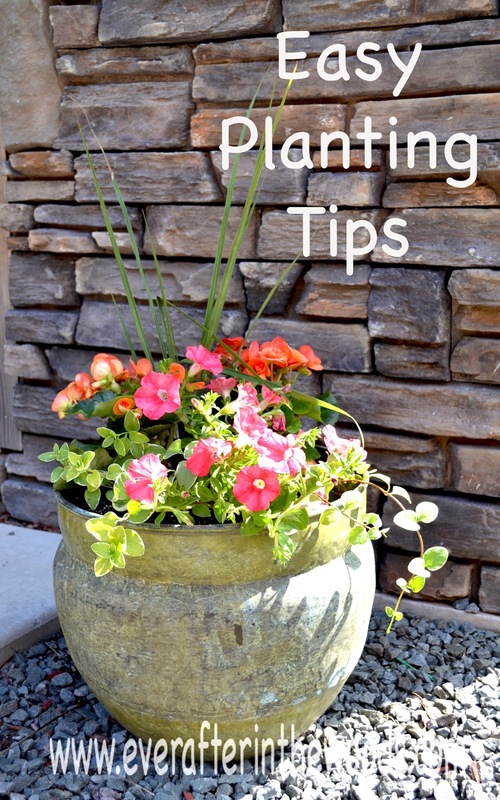 Have you always wanted to plant your own planters, hanging baskets, etc? Well i have a three step process for you that will always result in beautiful containers. Just like the ones you see in the garden stores but for much less. First start with your container. 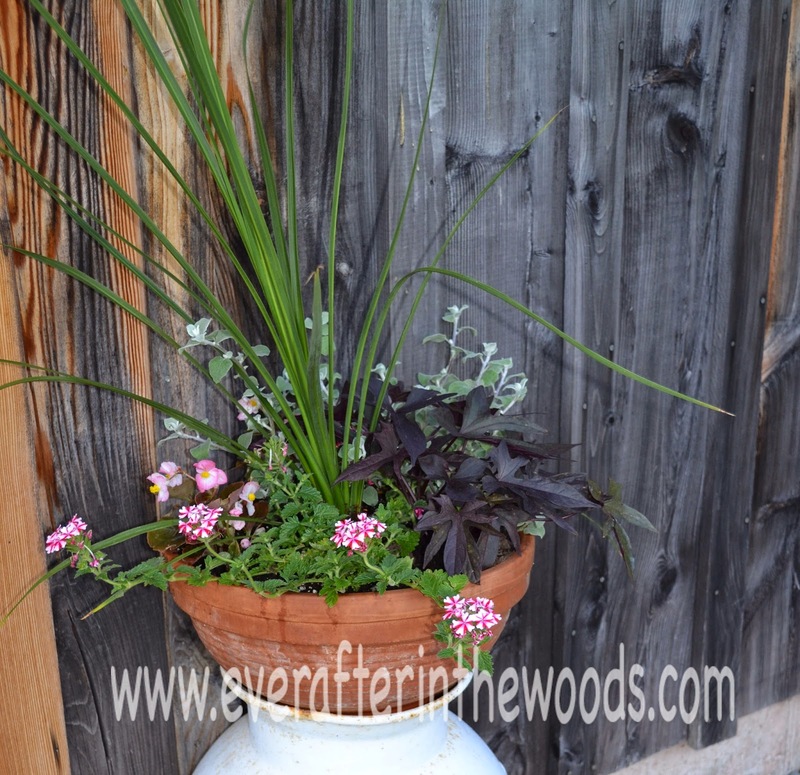 This can be a pot, hanging basket, etc. Fill about 3/4 of the way full with potting soil. Then add your “Tall”. Look for one plant that is high. You want to add dimension to your container. I used a spike plant in this example. Next, choose your “Spiller”. 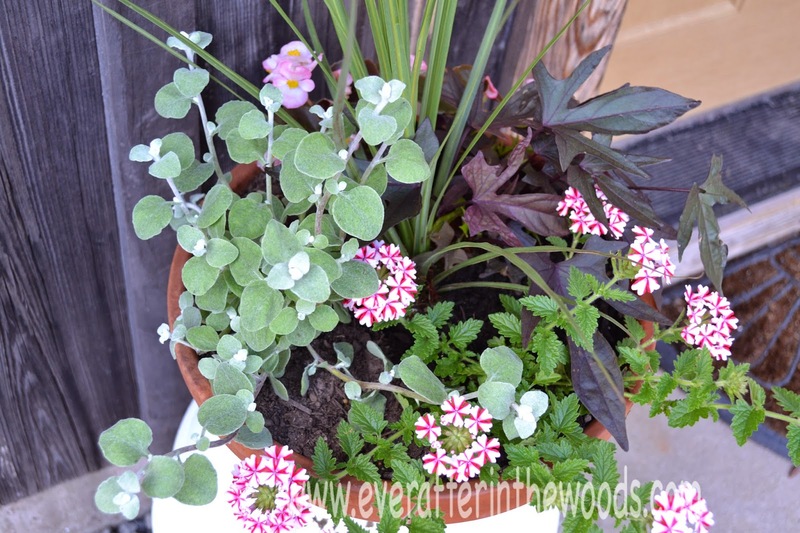 These are your trailing plants or flowers. You can use anything that will trail. Sweet potato vine, trailing petunias, ivy, licorice plants, etc. 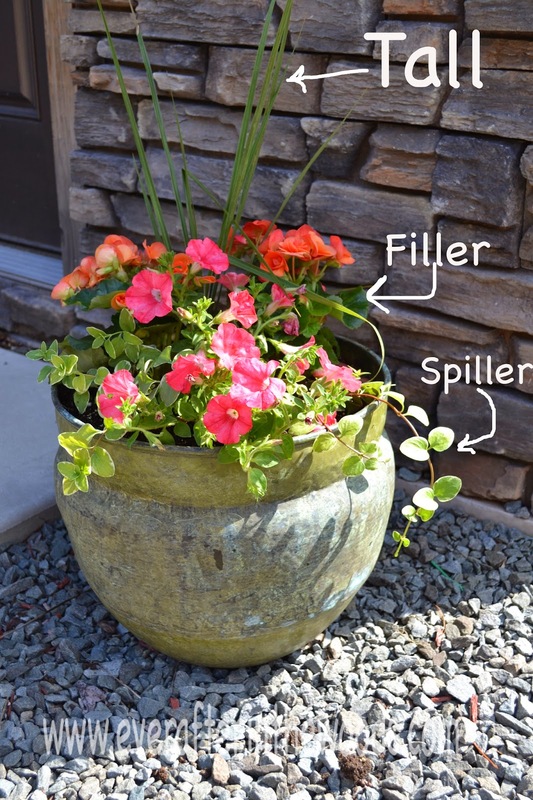 Then, choose your “Filler.” These are the plants and flowers that will bush out and fill up the middle of your container. 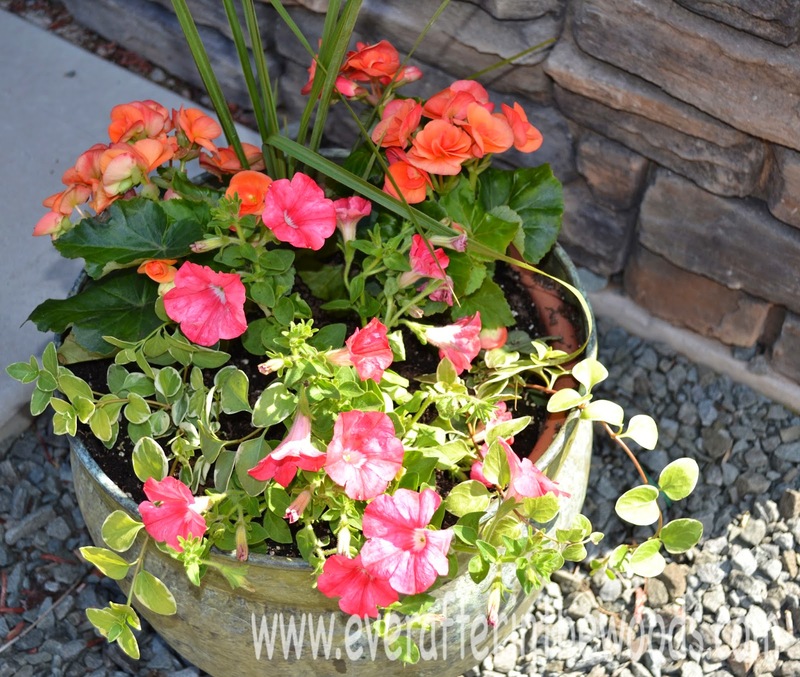 These can be begonias, geraniums, pansies, petunias, etc. What ever you like! Choose colors that coordinate well and have some greens too. 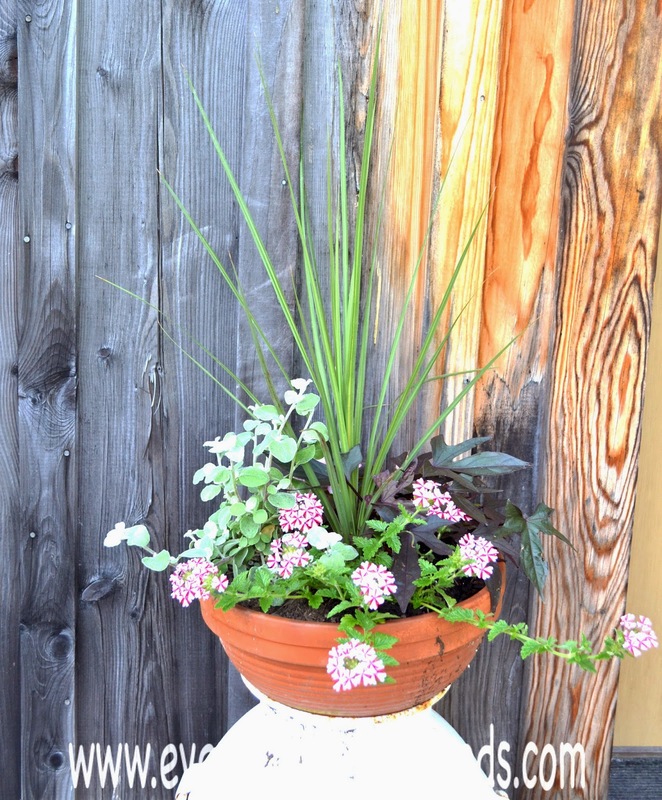 Great tutorial on how to build a beautiful planter! I love how you gave all the plant names. 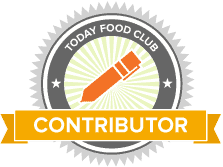  I would love for you to share your creavitiy at my Show-Licious Craft & Recipe Party! Hop over and link up!